Armageddon Clock for both 32 and 64 bit windows. 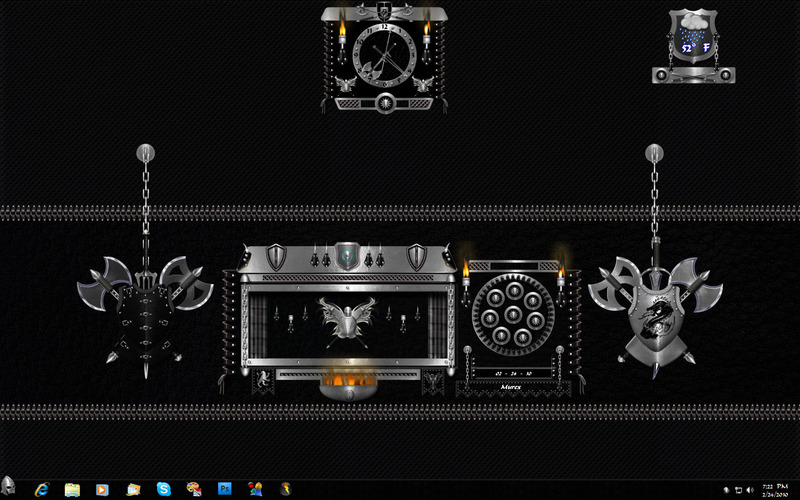 Clock has animated torches and includes the dock any where script by sViz. click on clock to hide or show the second hand. Side leather loops and leather torch holder graphics are by Xiandi permission included in zip. all other graphics are mine. Wow for the graphics, Merle. M, I give this one a hearty 4.95 stars! You nailed it!